Hello !! 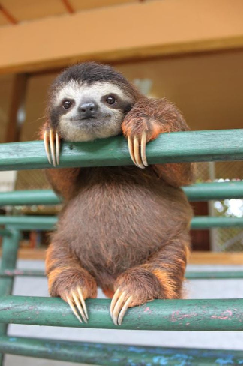 today, would like to present the animal lazy in the world and so slow. Are you ready ? go to watch together !! to the north of South America. 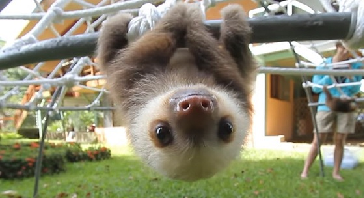 Sloth is divided into two groups. 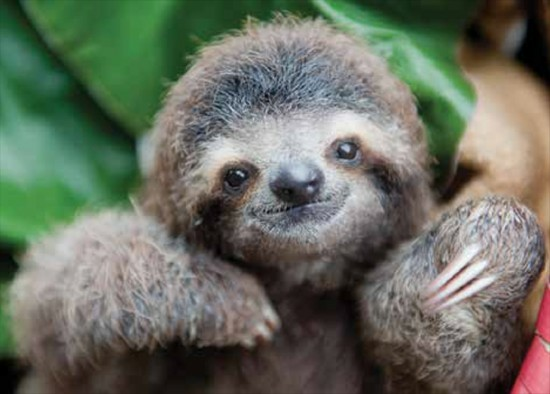 Two-toed sloths are in the family. Megalonychidae There are 2 species left. 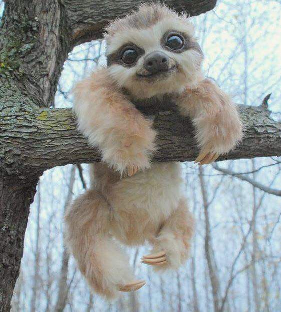 Three-toed sloths belong to the Bradypodidae family. There are currently four species. head and neck short, long, pointed toe for use in tree planting. and laziness make the Sloan's body a habitat for many small animals, such as moths, beetles, cockroaches, and even jaws. However, they can swim faster than walking on land. 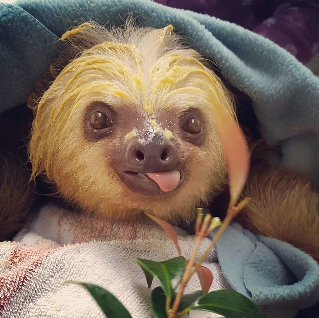 Sloth is an animal that eats both plants and animals. Their food is insect leaves, including reptiles and small birds. 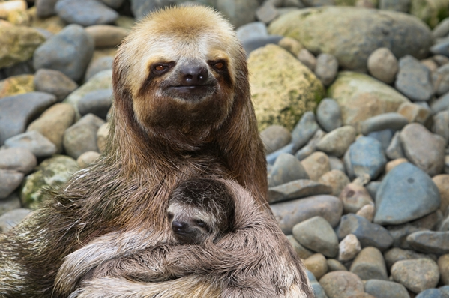 Although it is a slow animal, it is unlikely to catch other animals. But its slow down, it lowers its metabolic rate. It's not like the other animals. for about six months to grow up and feed themselves.